Call A to Z Entertainment, Inc. today for free information about how to hire or book Christian contemporary music singers, One Sonic Society. With over twenty years of successful booking experience, we are your best agent and agency for hiring live contemporary Christian band One Sonic Society. We help you hire any live professional entertainment you want, to include contemporary Christian musicians and Christian music singers and bands. We can also also help you plan and produce your show or event, so call us today at 888-655-4575. The advice is always free from A to Z! One Sonic Society is comprised of producer-songwriters Jason Ingram, Stu G, and Paul Mabury. They have written some of the biggest worship and praise songs in the church today and have individually produced some of the biggest artists in Contemporary Christian Music and worship and praise music. Their latest project, Live At The Tracking Room, gathers worship leaders from across the country along with an array of stellar musicians to record a live worship experience featuring some of the most popular and fast-rising songs of the church including “Forever Reign”, “The Greatness Of Our God”, “Always”, “God You Are My God”. One Sonic Society’s EPs include One (2010), Sonic (2010), and Society(2011). In 2012, One Sonic Society released their album, Forever Reign. 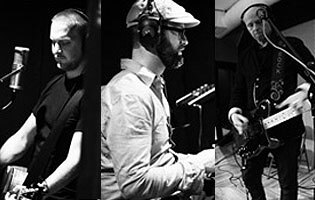 The ‘Live at the Tracking Room’ album includes brand new songs “Higher Than All” and “Light Shine In”, plus three other songs recorded for the first time by One Sonic Society. This is One Sonic Society at their best, leading live worship with a community of musicians, worship leaders, and friends. We’ve helped hundreds of clients and we can help you book or hire any contemporary Christian musicians and any live Christian music bands and singers too. We’re your best agency and agent for hiring and booking Christian music singers, One Sonic Society, so call 888-655-4575 today and we’ll be happy to help you. A to Z Entertainment, Inc. is not the exclusive booking agency for any live entertainers on this site.